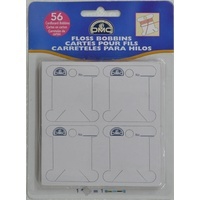 Varimatic: 6087, 6086, 6085, Expression: 2014, 2036, 2034, 2028, 2026, 2024, 2025, 2027, 2038, 2046, 2048, Tiptonic: 2010, 6270, 6250, 6232 , Select: 1528, 1526, 1520, 2040, 2030, 2020, Tipmatic: 6110, 6112, 6152, 6122. 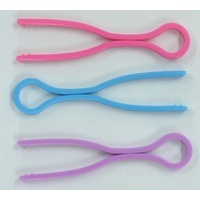 Select: 4.0, 3.0, 1546, 1540, 1538, 1536, 1530. 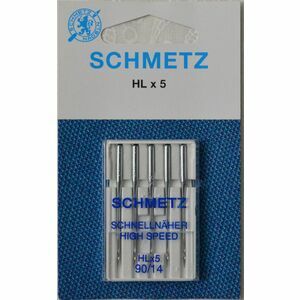 Performance: 2058, 2056, 2054. 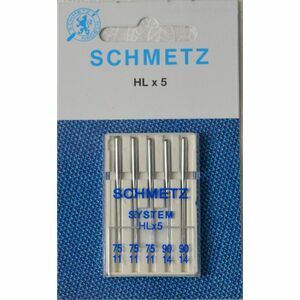 Stretch & Jean 6091, Creative: 2124, 2170, 2144, 2140, 2134 7560, 7562, 7550, 7530, Quilt Expression: 2046, 2044, 2042, 2048. 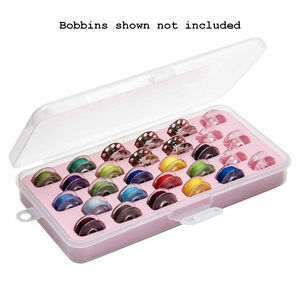 Also models 70, 80, 90, 130, 230, 260-360, 800 series, 875, 900 series, 1000, 1007, 1047, 1151, 1069, 1171, 1229, 1371, 1467, 1469, 1471, 1472, 1473, 1475, 2040, 2044, 2140, 2144, 2046, 6000 series, 7500 series, 7550, 7570, 7560, 7530, 2170, Tipmatic 1035. 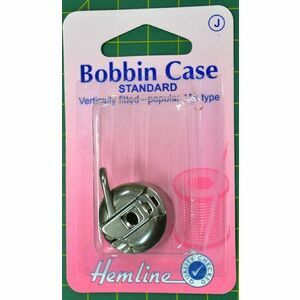 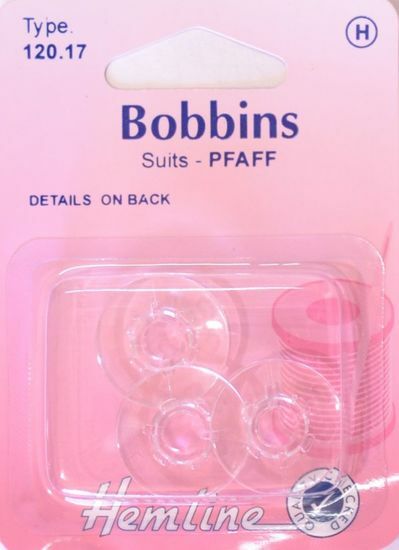 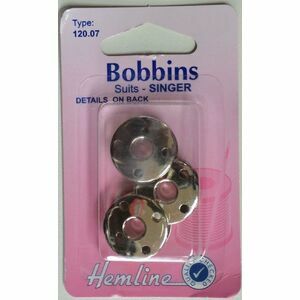 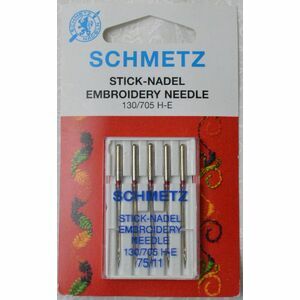 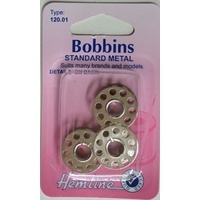 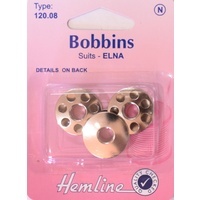 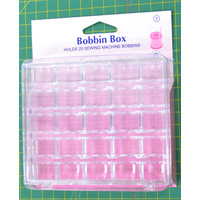 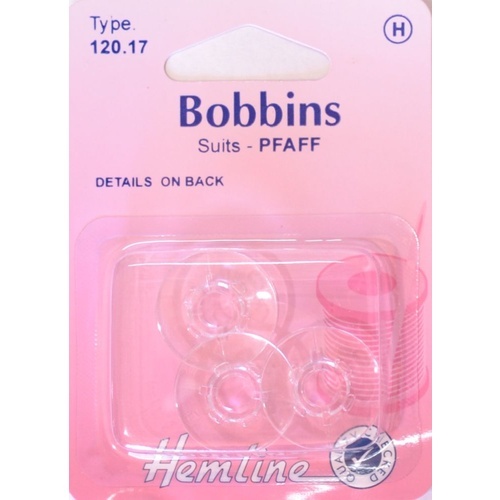 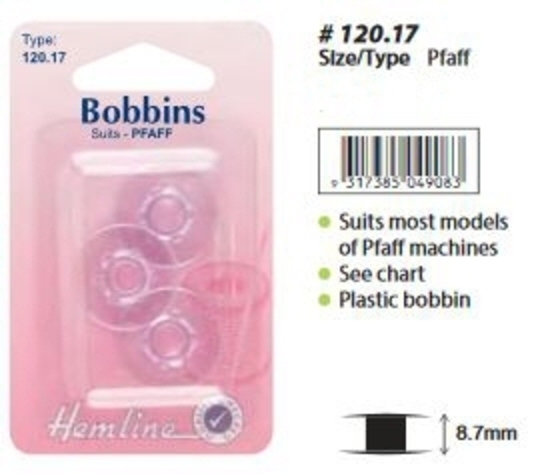 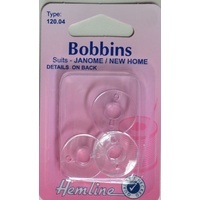 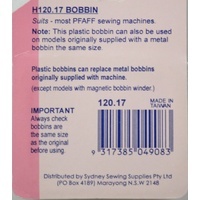 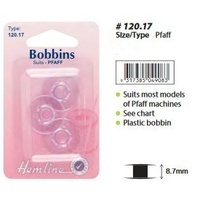 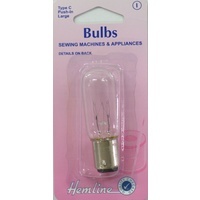 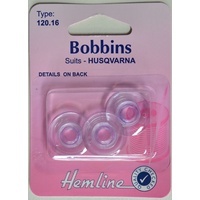 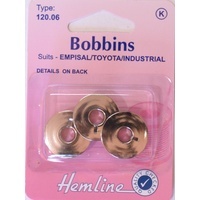 Note: This plastic bobbin can also be used on models originally supplied with a metal bobbin the same size. 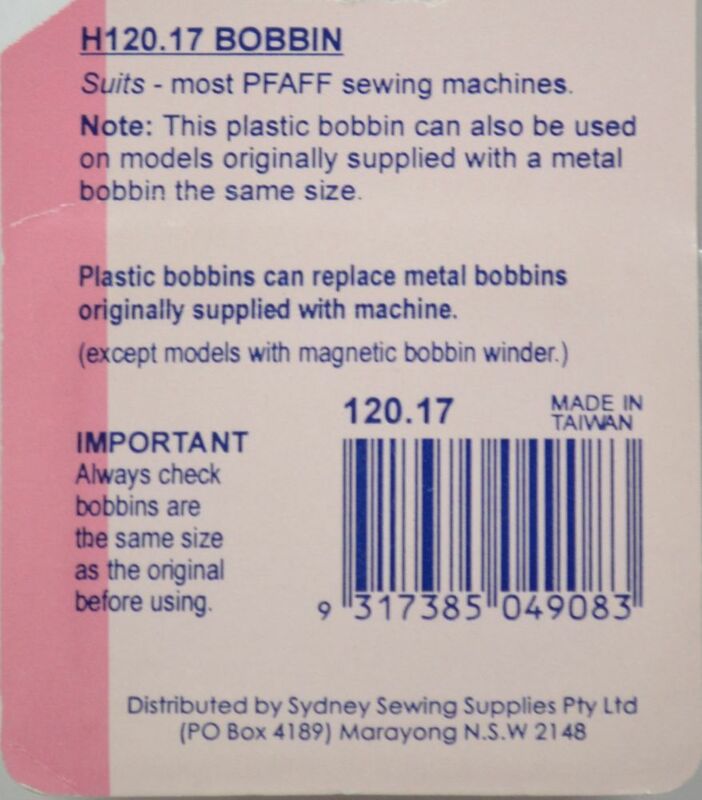 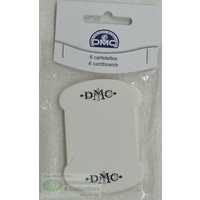 Do not use with old 1222 series with magnetic bobbin winders.